For people looking for wood siding, cedar is by far the favorite choice. Other types of wood used for this purpose include redwood, logs, and engineered wood. However, this is a cedar buying guide, so we will talk about comparisons of cedar siding with fiber cement and vinyl siding. You’ll see the different styles available, as well as learn about grades and profiles of cedar available. 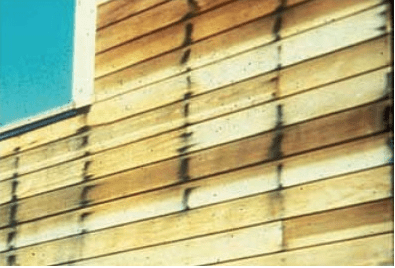 You’ll also learn about the maintenance requirements of cedar siding, because that is a crucial aspect of ownership that should not be overlooked. We will also look at some of the top manufacturers of cedar siding. 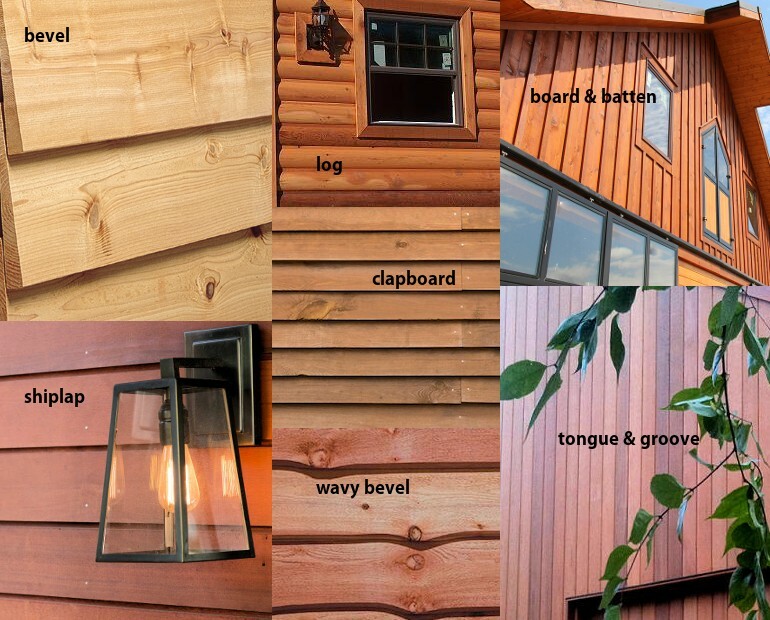 Our cedar siding cost guide will help you estimate the costs of materials and installation. Cedar siding is unquestionably beautiful, and unbelievably durable. Unfortunately, it is expensive and can be high maintenance. Most people who choose cedar do so for the beauty of the wood, without concern for the expense and maintenance. If you don’t have to worry about the cost of siding, cedar may be your choice. Believe it or not, cedar is actually available in several colors. The natural wood may be in varying shades of yellow, white, brown, or red. 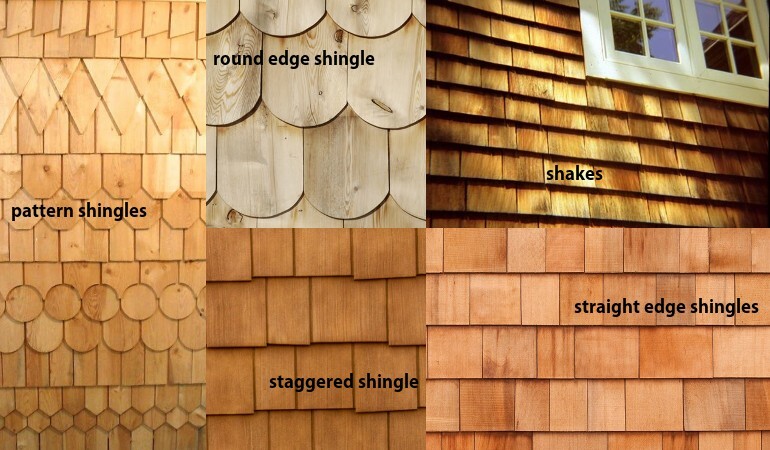 When sealed properly and maintained as needed, cedar shingles and siding can last over a century. Properly cured cedar shingles are shrink-resistant. This means that, unlike other types of wood, once it is installed it will not shrink and leave gaps in your siding. Resin and pitch in wood keep it from absorbing stain or paint, but cedar has neither of these in its wood. Therefore, you can stain or seal the wood easily. It has a fine grain and a natural, satin finish. Cedar is one of the most beautiful woods used for siding. The warm colors, along with the spicy scent, create an aesthetic that can’t be imitated by vinyl or HardiePlank. Cedar siding makes a definite statement stylistically, and is a perfect to a house with unique or historic architecture. 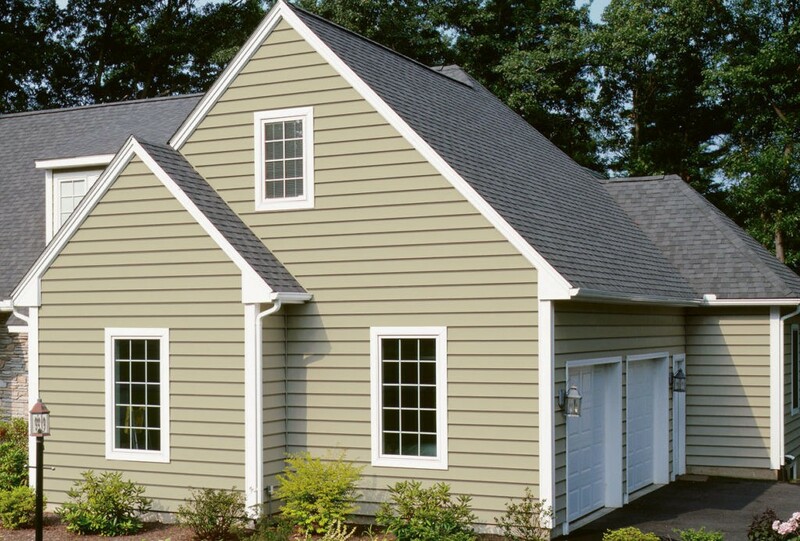 A skilled siding contractor can even create varieties of textures with the siding. Since cedar receives stain very well, that is usually the finish requested by homeowners. White cedar in particular ages gracefully, growing more and more beautiful each year. All cedars tend to turn a satin-gray with age, if left untreated. However, the natural, rich coloring can be preserved with routine power washing and a fresh coat of stain or sealant. Other types of siding can only hope to imitate the timeless beauty of cedar and its rich textures and grain. Most siding does very little on its own to insulate your house. However, cedar siding provides more insulation than most options. It also reduces noise from the outside. While it does reduce utility bills overall, the cost of maintenance may offset the gains you make there. The only species of tree that grows faster than cedar is bamboo. Cedar is a renewable resource, grown specifically for the housing industry in this country. It takes little energy to produce, unlike vinyl siding. It is biodegradable, but when properly cared for will not rot. That makes it a great choice for a maintained house. Here some other green siding options. While cedar does not have any resins or pitch, it does have tannin. This is abhorrent to rodents and insects. That’s why it is used in closets and trunks to preserve clothing. Termites, carpenter ants, and mice will not be interested in your cedar shingles. Unlike other siding that can be painted or power washed every few years, cedar siding maintenance is a bit more demanding. Every year, you should power wash the wood to get debris and spiders off of it. Dirt and mildew may harm the wood over time. Depending on where you live, you may need to re-stain the wood every year. You can let it age naturally, but it becomes a fire hazard and loses its beautiful color in exchange for a satin-gray color. You will need to restain or re-paint the wood regularly to keep it from rotting or warping. Wood is neither flame-resistant or flame-retardant. Most homeowners treat their cedar shingles and shakes with a flame retardant for safety reasons. Unfortunately, once they are thus treated they are no longer safe for the landfill. Check with your city’s ordinances, because some cities and HOAs ban the use of cedar shakes on a house because of the fire hazard. Insects do not like cedar. That does not mean it is bug-proof, though. Over the years, the wood loses much of its tannin. And, while it is rot-resistant, it is not rot-proof. Any time dirt, debris, and moisture are allowed to pile up on the siding and in the creases, mold and mildew will grow. This will gradually weaken the wood and lead to rot. Maintenance in keeping the siding clean and sealed is important to prevent this. While cedar is almost indestructible, it has one weakness – iron. Don’t use iron nails when installing cedar, because the iron will make the planks rot. The planks will start to fall off of your house, since they have rotted out around the iron. If you are trying to stay within a budget, you probably won’t want cedar siding. Other types of siding will cost about $3 per square foot for installation. Cedar is over twice that, starting at around $5 per square foot. At more than double the cost of other types of siding, this is not your choice if you are trying to cut down on the expense of building a new home. Many types of siding are designed to imitate cedar siding. 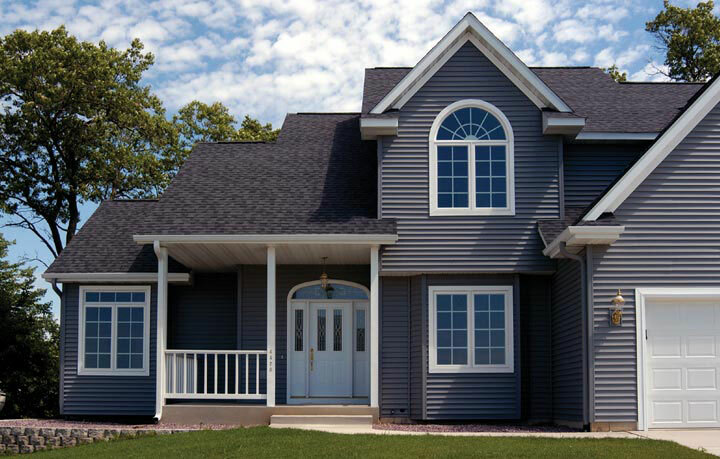 Vinyl siding, for example, is manufactured to look like cedar shakes and shingles. While this is an inexpensive and durable option, it does not have the inherent beauty of real cedar. Man-made products are usually less expensive, but they are not biodegradable. Redwood and pine are often milled for use as siding. Redwood is beautiful, and often preferred over cedar. Pine must be painted. White pine will “take” paint quite well, but yellow pine has hard streaks in it where the grains are very tight and full of pitch. These are the yellow streaks that give the wood its name, and they won’t “take” paint. The pitch works its way to the surface, even though sealant and multiple coats of paint. Pine and cedar are both fast-growing trees. While cedar does not warp or cup when it gets wet, pine will. That is why it is so important that the contractor lets the shipment of wood cure, acclimatizing to the humidity levels of your area. This will reveal which boards are suitable for use in siding. Fiber-cement, or HardiePlank siding, is man made with natural materials. 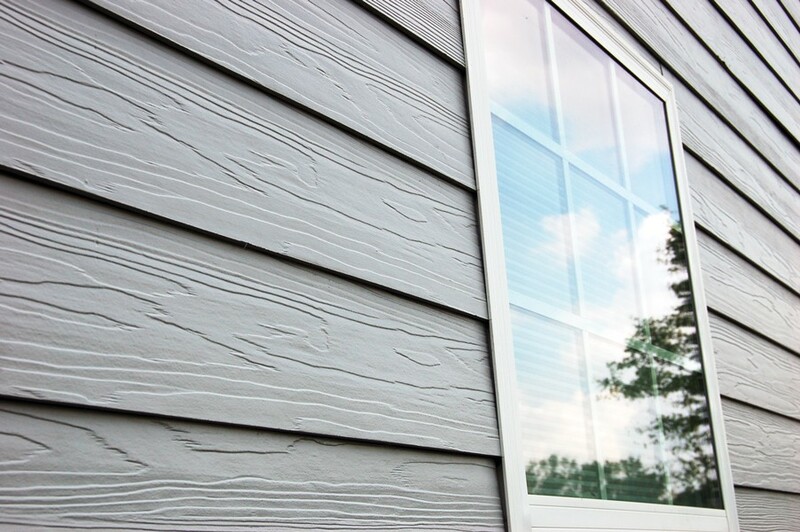 A mixture of Portland cement, clay, sand, and wood fibers make very strong and durable siding. It is molded to imitate wood shakes or planks, and actually gets close enough to have been approved for use in restoration of historic properties. Fiber-cement planks can be ordered pre-colored, or painted after installation. While the product closely resembles wood, it can’t match the beauty of naturally weathered cedar. However, the price is between $4 and $8 for each square foot, as opposed to cedar which is between $5 and $10 per square foot. In addition, fiber-cement planks are fire-resistant without any added chemical treatment. They are also lower maintenance, needing only power washing and paint every few years. The most popular siding in this country is vinyl siding. It is the least expensive option, and is easy to install. It is color-fast and requires little maintenance. However, over the years, it may become brittle, cracking when struck with hailstones or impacted by outdoor activities. Also, while it has a nice, clean appearance, it is just not a lovely as other types of siding. Maintenance is easy, and vinyl may actually outlast cedar. If the color becomes faded, you can paint it, but you’ll need to use primer. Individual sections of vinyl siding can be replaced easily, giving it an advantage over cedar planks. Aluminum siding looks a lot like vinyl siding once it is installed. As with vinyl, aluminum is available in different gauges. Heavier gauge metal is stronger and less likely to get dented. Even the heavy gauge aluminum siding is lightweight, which makes it easier to install. It is also easy to trim to fit without the use of specialized tools or extreme safety precautions. Aluminum is almost 100% recyclable, so very little of this siding ends up in landfills. It can be painted, or ordered in specific colors. While this material does not provide insulation value, it can be installed with insulation underlayment, increasing the R-value of your home. It is bug-proof and not susceptible to moisture damage. However, aluminum siding – especially the lighter gauges – can dent, requiring replacement. Real wood requires regular maintenance, and cedar siding needs even more than regular pine. Your local climate will affect how often you perform maintenance. Both dusty climates and moist climates that foster the growth of mold and moss will require you to wash your cedar siding regularly. For dirt and spider webs, we recommend a non-phosphate detergent with your power washer. For mildew and molds, use oxygen bleach in a mild solution to remove the growth. It can be tempting to leave your cedar siding to age naturally to a silvery gray. However, this usually means that the wood is left unprotected from the elements, which can eventually cause various pieces to warp or twist. The side of your house that is exposed to direct sun or prevailing weather patterns may need to be cleaned and stained more often. Otherwise, every 3 to 5 years is adequate for staining and painting. This type of staining is caused by the natural tannins in cedar. It can also be caused by water or by iron that is in contact with the wood. Often, these stains can be rinsed away with a water hose. In other cases, using a mild cleaning solvent will help. Many people love the look of wrought iron fixtures against cedar. For example, substantial iron hinges on the gate is a beautiful look. Unfortunately, cedar and iron are a bad combination, with cedar getting the worst end of the deal. Any metal that comes in contact with cedar should be galvanized or stainless steel or aluminum. If rust stains do appear, you will need to use a commercial cleaner to remove them. Then stain or paint the wood to protect it from further damage. 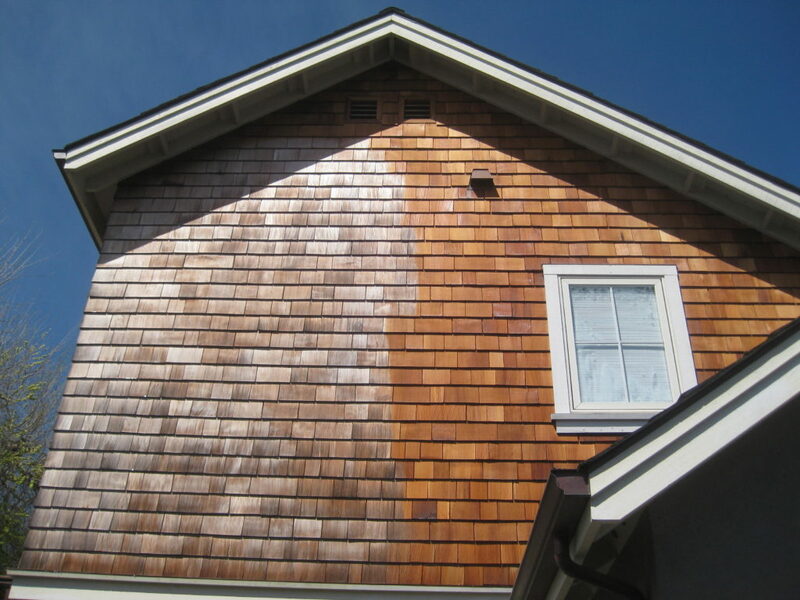 If you see a fine, white dust collecting on your cedar siding it means that the paint sealant, or stain is worn out. You will need to clean it, sand any flaking areas, and re-paint or restain the wood. Cedar takes stain and paint very well. 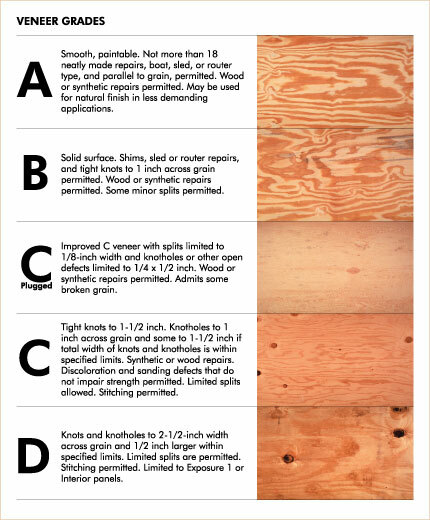 If you see that there are any of these issues arise after the wood has been sealed, contact your contractor. It means that the wood is wet and it is rejecting the sealant. Your contractor will need to find the source of the leak and then scrape, repair, and repaint the damaged area. The absolute beauty of natural cedar siding is second to none. However, that look is expensive and requires maintenance. If initial cost and the time and expense of maintenance gives you pause, then you may need to look at fiber-cement or vinyl siding, instead. They require less care, and are quite durable. 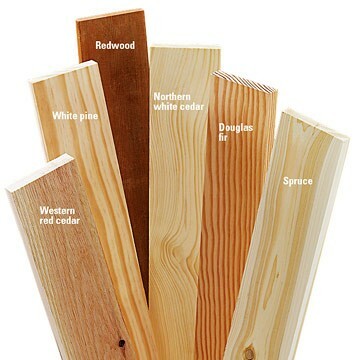 The United States and Canada have several grades in their systems for rating cedar planks. The rankings are based on the number of knots in the wood and the milling done on the face and edges, as well as several factors. Knots usually receive stain or paint differently than the surrounding wood. The plug in a knot is also prone to shrinkage and may fall out, leaving a hole in your siding. In addition, knots are harder wood and are hard to saw or drive a nail through. Clear heart cedar is the best of the best. It is knot-free and shows few growth indicators found in less-pristine wood. Grade A Clear Cedar is beautiful wood that has no obvious knots, but it will have some growth characteristics such as rings or tiny knots that can be seen with the naked eye. The appearance of the wood becomes progressively less clear on grades B through D. The prices also go down. While this makes the product more affordable, be aware that not all manufacturers produce these grades of siding. This is one of the more affordable grades of wood siding. It is milled leaving the saw texture in the wood. This cut is not usually used on the front elevations of the home, but rather on the other sides. Knotty cedar also has quite a rustic look, and can be bought with either rough edges or dressed edges. You can also choose between saw-textured or smooth face. The knots in these planks are described as “sound and tight.” This means the plug of wood in the center of the knot has not fallen out as the wood has cured, and is likely to remain in place during installation. For the most rustic look, this is the type of wood to use. However, it is also the grade with the most flaws – hence the “rustic” look. It is an inferior grade of wood and contains streaks, voids, and open knots. This wood is really more appropriate for decorative installations inside the home, as it will not withstand the onslaught of weather, nor will it protect the structure from moisture.